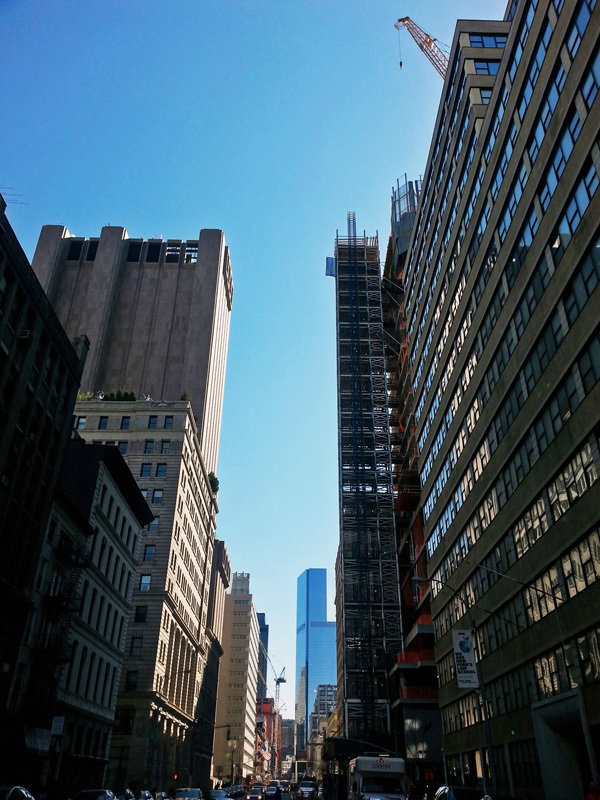 Several blocks to the north of 30 Park Place, Downtown’s other colossal residential building is also making headway; 56 Leonard’s vertical profile is verging on impressive, as the skyscraper continues its upwards charge into the Tribeca skyline. 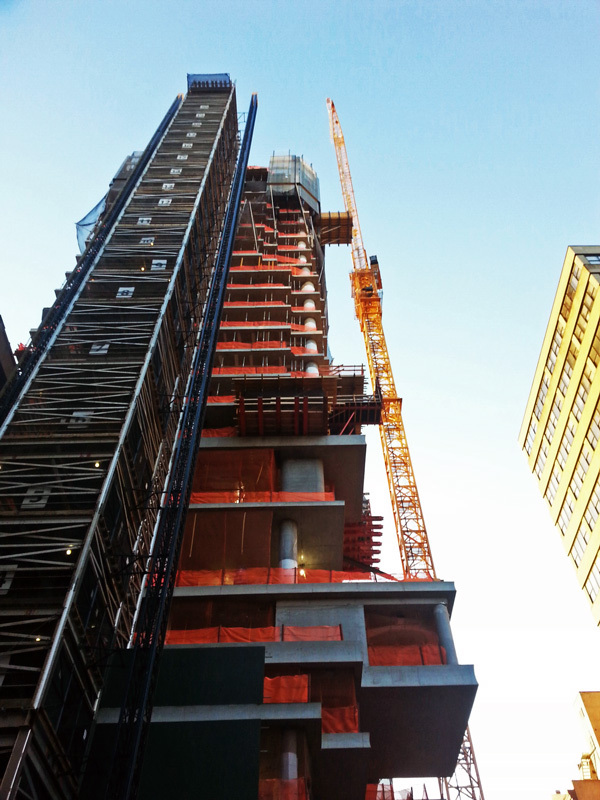 The site’s developers are Hines and Alexico, and the architect is Herzog & de Meuron. 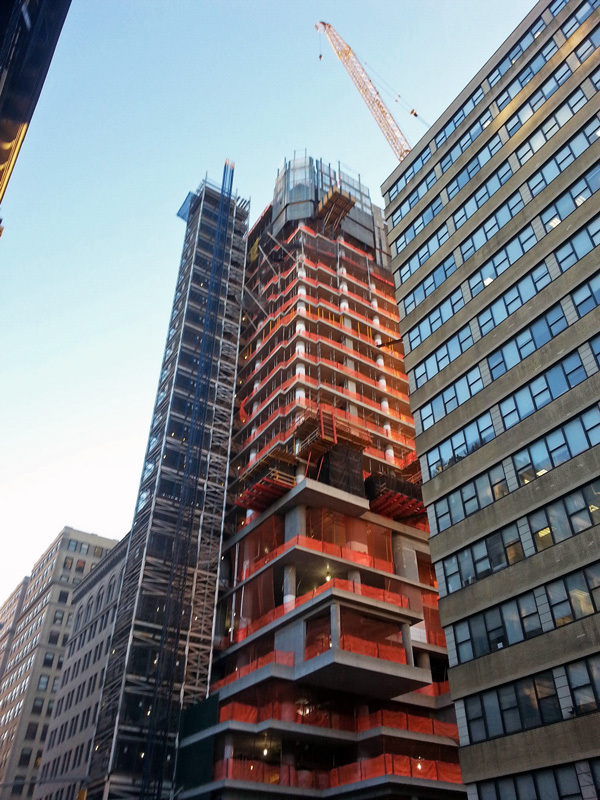 56 Leonard now stands approximately 23 floors above street level, and by next month’s update, the development should pass the half-way point; it will eventually stand 821 feet and 56 stories above street level. 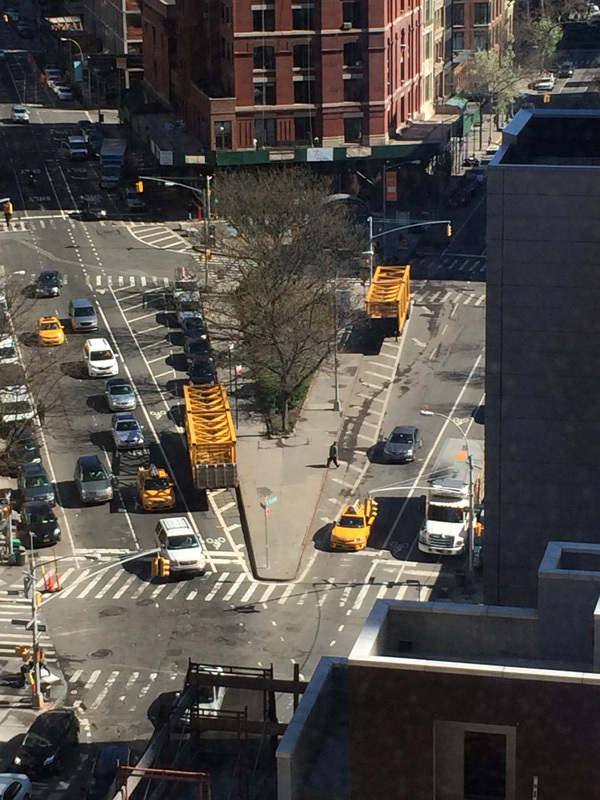 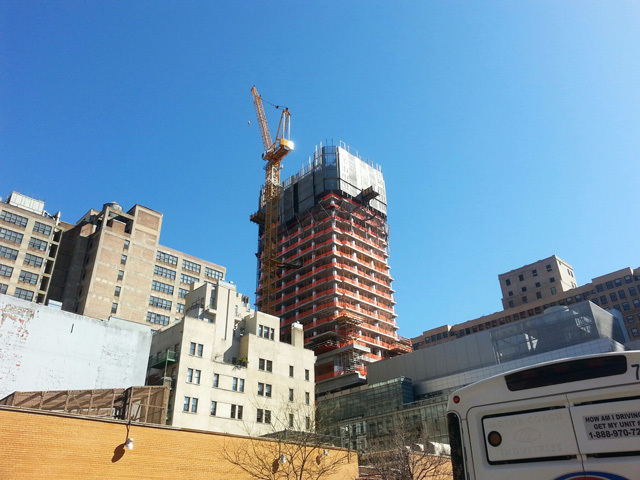 Crane sections were delivered over the weekend, and external forms for the skyscraper were also jumped this week; the below photos come from a reader at New York Law School, which offers a fantastic vantage point over the site. 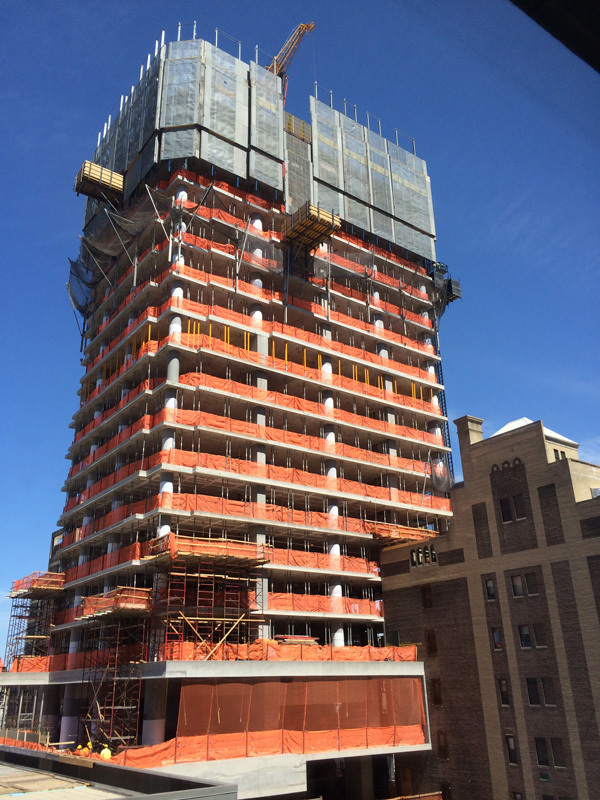 56 Leonard’s local prominence is beginning to result in minor positive externalities, as well; the building now blocks the extremely unpleasant 33 Thomas Street from certain angles, and will soon completely dominate its aesthetically unfortunate neighbor. 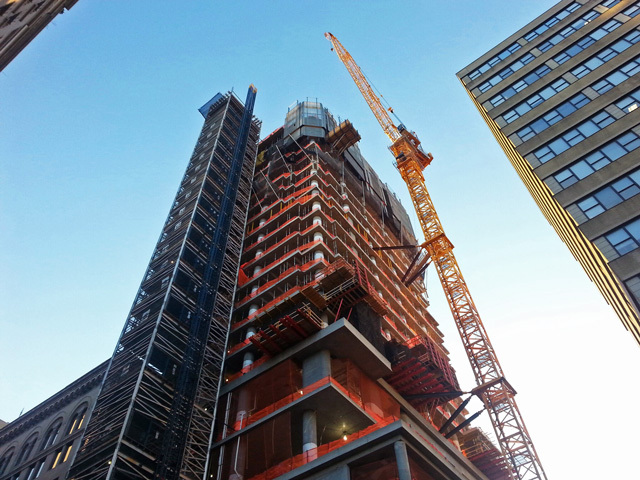 Completion of 56 Leonard is expected in 2016.